Nursery section is centrally located at Gokulam main road, Jayalakshmipuram, Mysuru and is easily commutable. Our vision is to provide a gateway to a futuristic education through a range of high quality teaching aids and tolls besides reading material and quality assignments. We believe that there are effective approaches and strategies of developing and raising a child to lead him or her to successful and happy life. S.V.E.I. 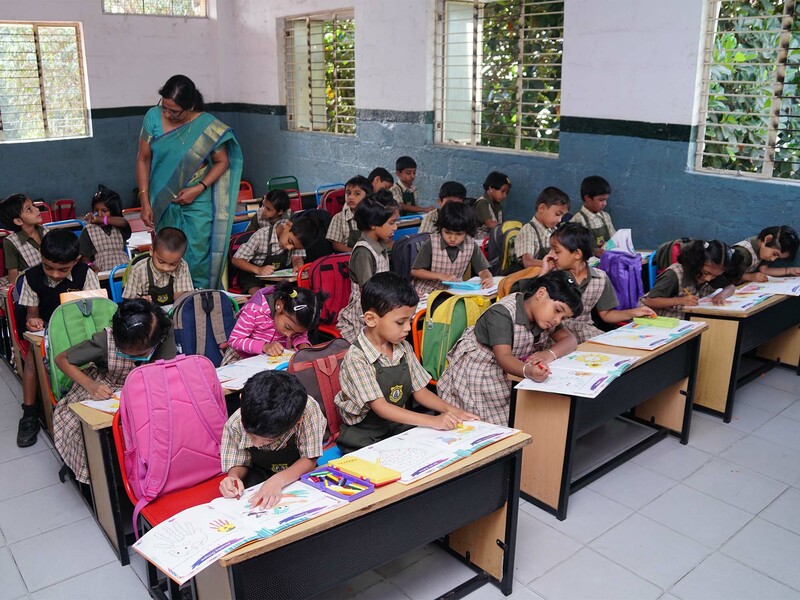 Primary School was started in the year 1998 as a first venture of Annapoorneshwari Trust with a aim of presenting responsible citizens to the society. Our school is a synonym to learning with joy. We believe in learner centric and skill based teaching methodology and we offer holistic learning and personality development n opportunities for students. Committed faculty are working as teammates towards the vision and mission of the institution. SVEI High School has the curriculum that assimilates knowledge and skills by analyzing the strength and weakness of students it provides an environment that leads the learners to excel in pursuit of knowledge and experiences. SVEI Composite PU College was started in the year 2005 with 85 students. It has reached tremendous heights of glory and achievement now,314 students receiving formal education under various courses in science as well as commerce streams. Our well qualified staff of 21 members aim at moulding the energetic, young teenagers into healthy, potential citizens of our country.